Tokyo Tokyo is one of my go to places for affordable Japanese food. 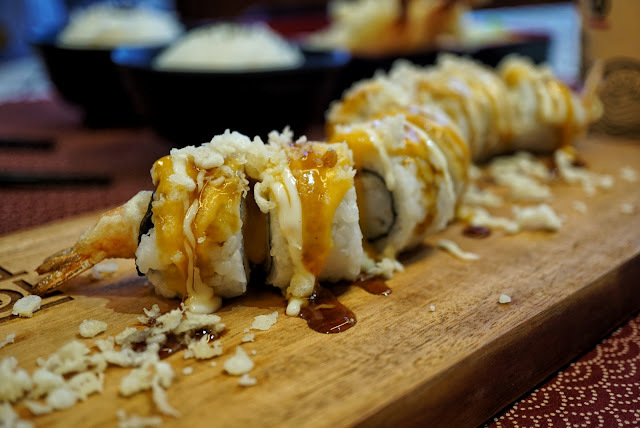 I still recall my college days when I'd grab an order of its tempura and pair it with its refreshing red iced tea. 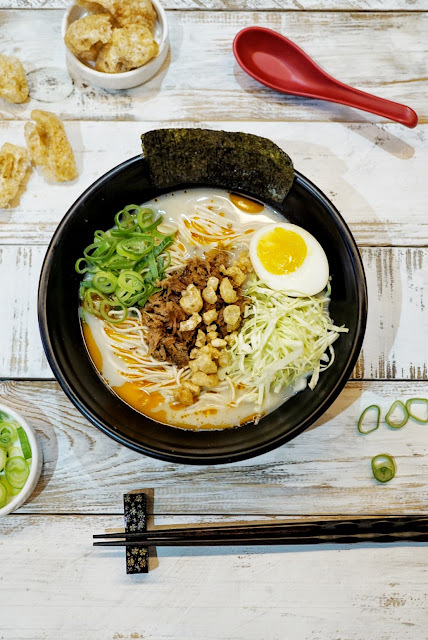 And Tokyo Tokyo continues to remain relevant in the food industry by innovating and offering new products to the ever growing demanding market. 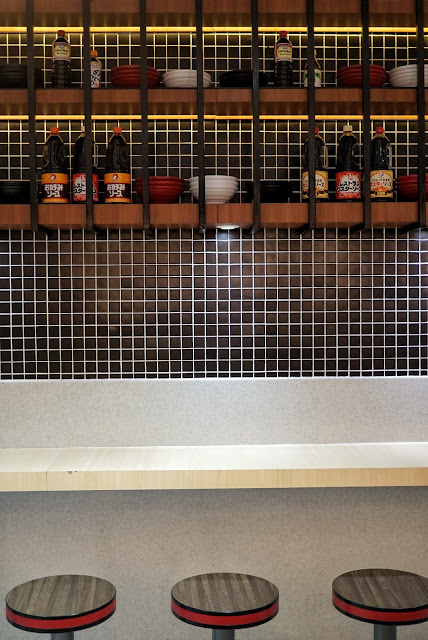 This time, this popular Japanese restaurant chain came up with something quite Filipino. 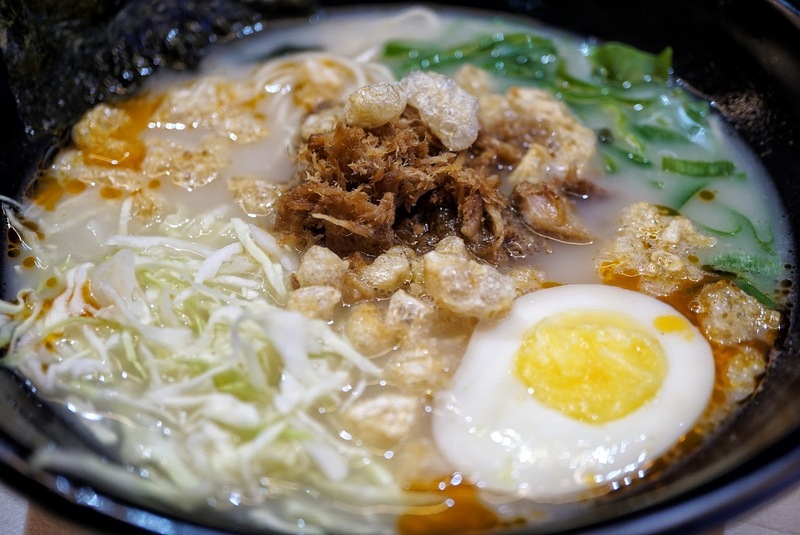 We all know Tokyo Tokyo for its crisp tempura and bang for the buck bento meals. It recently launched its Nori Tempura which tickled seaweed lovers' taste buds. 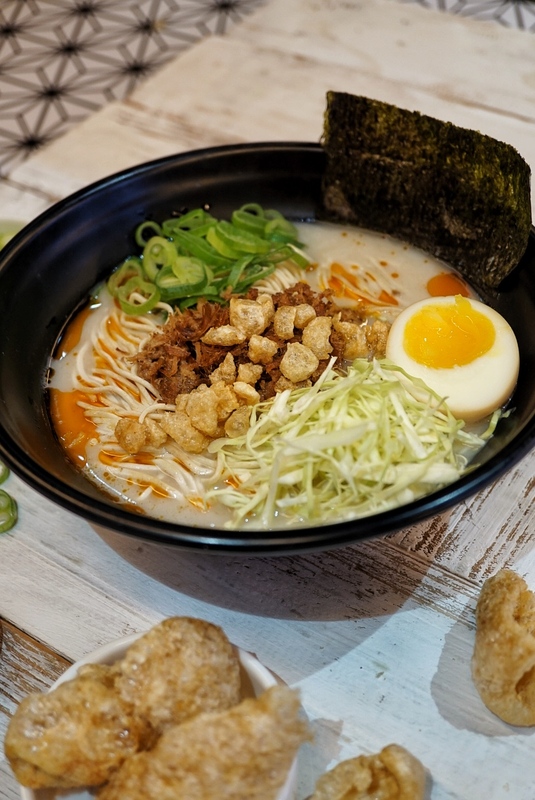 And just a few weeks later, it launched a new dish that would pique the interest of ramen lovers. 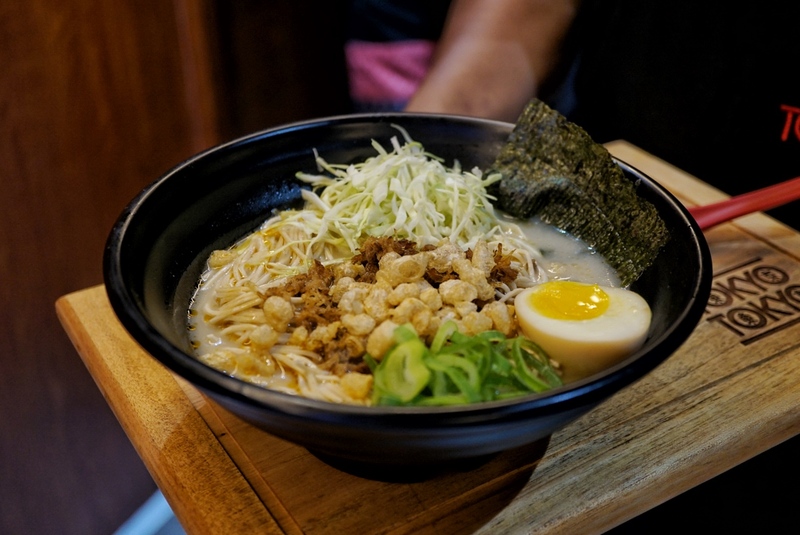 With Filipinos' love for rich and bold flavors, Tokyo Tokyo came up with Sisig Ramen. Available at Full (PHP210) and Snack (PHP160) sizes, you get to enjoy this mouthwatering combination of pulled pork and tonkotsu broth topped with chicharon bits, and tamago. I took a tiny slurp and found the broth to be light. But I couldn't say the same with my second spoonful as it was packed with heat! It turns out that the orange film on the broth is not the fat from the pulled pork but some sort of chili. 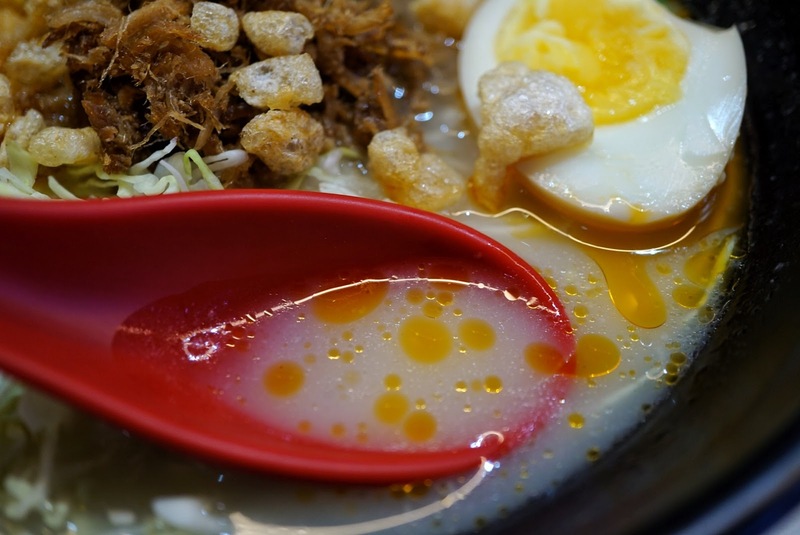 Though it whets your appetite even more, I found it too spicy for my liking. Thank goodness though for the tamago to balance the spice and crispy chicharon bits for that distracting yet delectable texture. 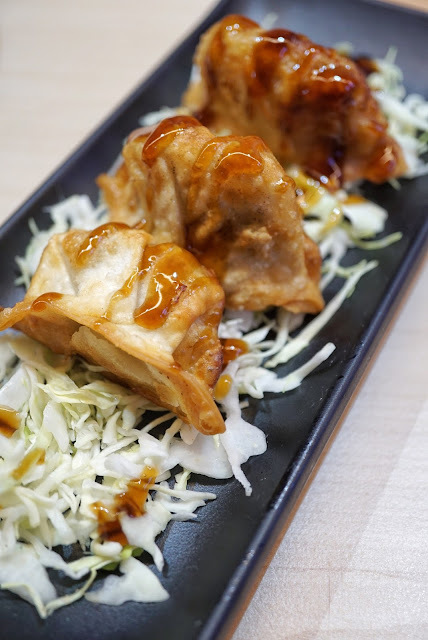 But one other dish worth checking out is Tokyo Tokyo's Fried Gyoza. 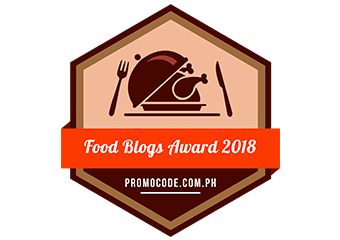 Crisp and packed with flavorful meat, this is an excellent side dish to have with your noodles. Or have it as an afternoon snack. 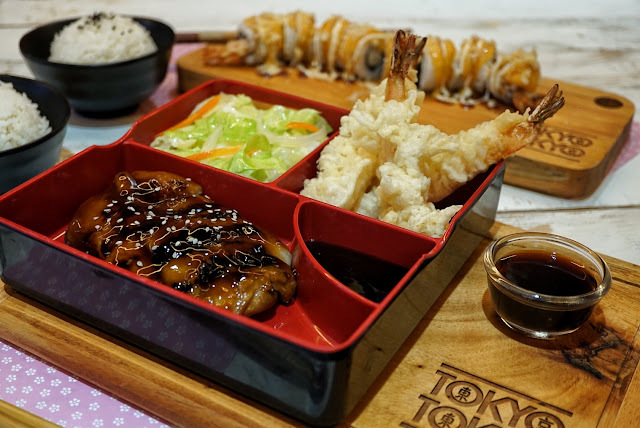 As an added treat, Tokyo Tokyo also launched its Valentine's Sumo Meal which comes with chicken teriyaki, 3 piece tempura, Dragon Maki, vegetable misono, 2 cups of rice and 2 glasses of Red Iced Tea. 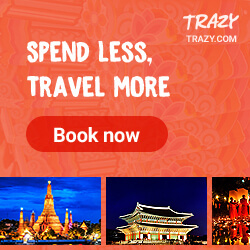 Tokyo Tokyo has multiple branches nationwide.